Imitation is not only an important element to learning process of children, but it is also a crucial point for child develop fine motor skills in autism. It is significant to social and emotional development. Acquiring motor skills in children and practice becomes easier and social development increases vastly in children with autism that were rehabilitated and trained with this method. Imitations are categorized depending on wanted skill. For this, first step should be to determine the deficit that the child is struggling and a schedule should be made accordingly. Acquiring skills that are called motor skills is the result of fine and gross motor imitation skills. Thanks to these skills, children will gain motor activity to a large extend. Which Path to Follow on Acquiring Motor Skills? Motor skills of individuals with normal cognitive development process accelerates after the age of 2. However, children with autism cannot acquire these skills with their own experiences. They need therapists for this reason. While childs gross motor imitation skill is used for rather rough motor skills, for smaller actions fine motor imitation skills method is used. For this, first of all the actions of the child should be observed and which motor skill struggles him the most should be determined. Stimulus type and level are elements that affect motor skills. The intensity of stimulus or negative stimuli can even hinder normally developed individuals from acquiring these skills or permanently cause acquired skills in children to disappear. For instance, a musician may not be able to play a tune that he knows under great stress. It should be underlined that individuals with autism are much more affected by factors like stress and anxiety. While developing motor imitation skills, the stimuli must be positive and well adjusted. Also, if the child has stress or anxiety disorder, he should be treated for these beforehand. Otherwise, since there would be a constant stimulus, it would be hard for the child develop motor skills and practice fine and gross motor, even though he grasps the logic of it. The purpose of gross motor skills are to provide the child with the motor ability to walk, stay in balance, move forward, and use big muscles in the body in a functional way. Since muscle development and motor skills quickly develop after the age of 2, rehabilitation in this process would be much more efficient. On the other hand, older children may also develop their gross motor skill development . Reinforcers can be used in acquisition of gross motor imitation skills. Food and other positive stimuli will motivate the children in the meantime. Firstly, behavior of the child should be separated as hinted and not hinted. The child is rewarded upon completing a hinted act. Then, when hinted actions are completed without help, only actions that are not hinted are rewarded. This way acquisition of motor skills will accelerate. The trainer should help the child to perform the desired act and help him physically. For instance, to teach walking, the foot of the child can be raised saying “do like this” and he would be shown how to walk. After repeating these practices the child will acquire walking skill. After acquisition, generalization practices can start. Fine motor imitation skills serve the purpose of practicing what is called manual dexterity. Some skills such as holding a pencil, playing an instrument, tool-making, using fork-knife are performed by muscles called “fine muscles”. Main goal of imitation training is to help the child use his fine muscles functionally and perform various motor activity applications. Reinforcers and hints can be used in these muscle skills. However, they do not require as intense hint use as gross motor imitation skills. The child may be asked to do simple tasks that would be done with hand such as piecing legos together, un-piecing them, taking on and off the cap of the pen or wrinkling the tissue. These moves are shown by the therapist and when the child performs them, he is awarded. Afterwards, motor imitations that do not require objects should be performed. The child might be shown touching fingers and asked to the same, for instance. 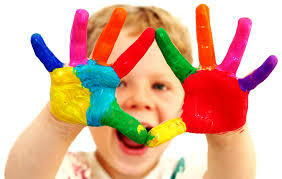 With these kinds of finger moves, with or without objects, the child can acquire fine motor skills.